ProcessMate is a cloud software that helps keep track of processes, manage related documents, related data and communication, and provides on-time notifications that help minimize delays. For managers ProcessMate provides valuable insights on efficiency of processes in a visual form, such as gantt charts, reports and graphs. ProcessMate will help you optimize your business, reduce process lead-time and cut costs. ProcessMate has a comprehensive workflow and task management engine, capable of tracking simple sequential processes, as well as complex parallel process branches, or non-ordered check-lists. 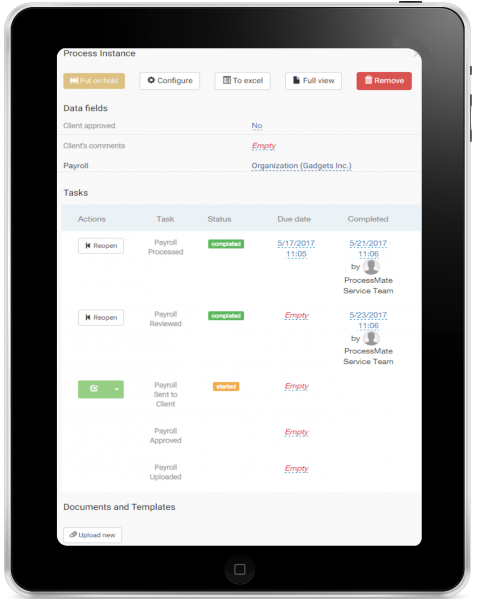 Users are assigned to tasks, see them in their to-do lists and are regularly notified of pending tasks. When tasks run late ProcessMate notifies users of delays. Managers have an up-to-date view on all processes happening, as well as performance statistics based on the past track record. ProcessMate is much more than just a workflow management solution: it will also manage your process documents, communication, as well as your custom data objects, such as customers, equipment or real-estate. Just configure your own objects and attach processes to them. Moreover, the custom forms mechanism allows easily customize input expected from user at each task. 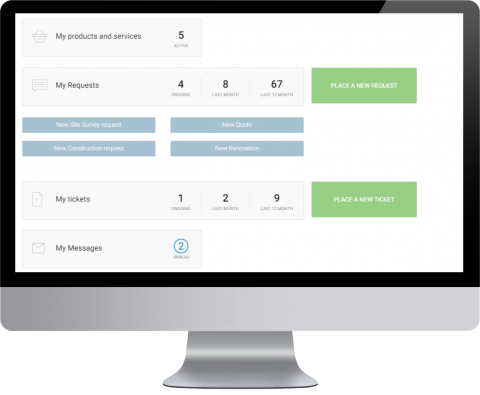 Open up new channels of communications with your customers, let them submit purchase and servicing requests, view their ongoing requests and optionally, trigger internal processes once your customer submits a requests. 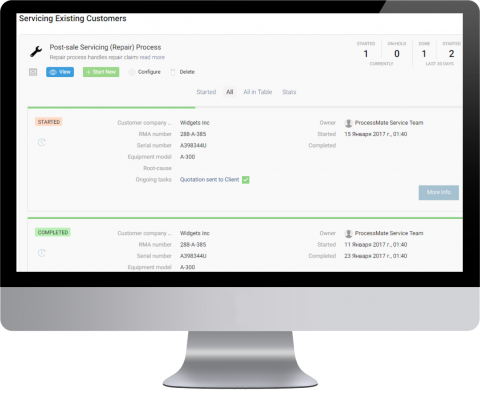 Customer will be able to provide all necessary information in their requests, such as type of product and quantity, through custom-designed forms. They may also be notified of the progress made. If required, we will provide you with the turn-key solution configured based on your requirements end-to-end. You will get a solution 100% ready to use in 2 days. 100% web-based cloud solution, no installations or downloads required. This means the deployment in a matter of seconds, and availability from anywhere on earth as long as you have internet. The fixed low montly fee makes it affordable to business of any size and budget. You may start with just 1 user and expand as you business grows. We run a SaaS company, delivering a Web Scraping Platform and have tens of processes running in parallel. ProcessMate’s solution fits our needs well: everybody knows what to do next. As manager, I know who does what at any point of time. In short, this is an excellent tool for a business that works with multiple clients. Great service and low cost too! The system is helping me to keep track of a lot of shipments and processes so it’s worth it. I’m very happy I found it.